Note to self - STOP SAYING SO!!! Throw everything in the crock pot. About an hour before it's done, stir. Another recipe that I've been making for years is a super simple apple pie. The whole reason we made apple pie is that the kids discovered my stack of Chatbooks in the office and Griffin has been OBSESSED with the one full of Thanksgiving and Christmas pictures :) She has been begging me to make apple pie like we did in the picture on Thanksgiving and so I obliged. Step 1: Peel and slice the apples. You don't have to be exact about the amount. I tend to slice more than it calls for and usually end up with 7+ cups. I would peel and slice the apples and then Griffin would put them in the measuring cup and dump them in. ... then the 1 teaspoon of cinnamon and 1/8 teaspoon of nutmeg. Step 5: Place the second crust on top and press the edges together to seal them. Step 6: Rub a little bit of milk onto the crust and sprinkle the whole thing with sugar. Step 7: Cover the edges with foil and bake at 375 for 40 minutes. Then remove the foil and bake for an additional 20 minutes. 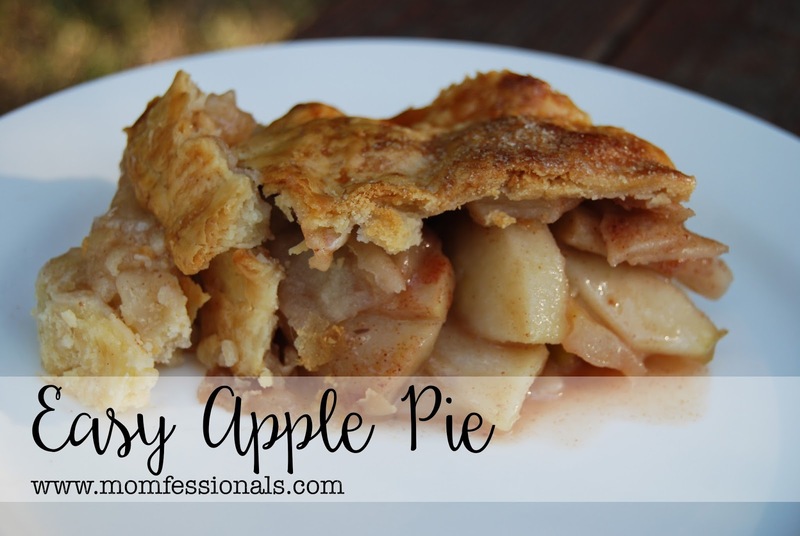 I typically like to let my pies cool overnight (preferably in the refrigerator), but if you don't mind it being a little messy when you cut it as long as it's cool to the touch you should be good to go. When you let it sit overnight it tends to firm up a bit. I hope y'all enjoyed some of my favorite recipes - I've added them to my recipe page HERE for easy reference. Why dont you use healthier options instead of white sugar or white flour? I'm not sure you could substitute anything for the sugar since it's a fruit pie, but I could be wrong. Suggestions? Thanks, Lia! Brown sugar, agave nectar, honey, coconut sugar. I'll have to try a few out and see if it changes the consistency of the pie filling at all. Thanks for the suggestions! Oh my yum! That pie looks incredible. We go apple picking in the fall every year. I'm always looking for different apple recipes to try. I'll definitely be making this one. Thanks! 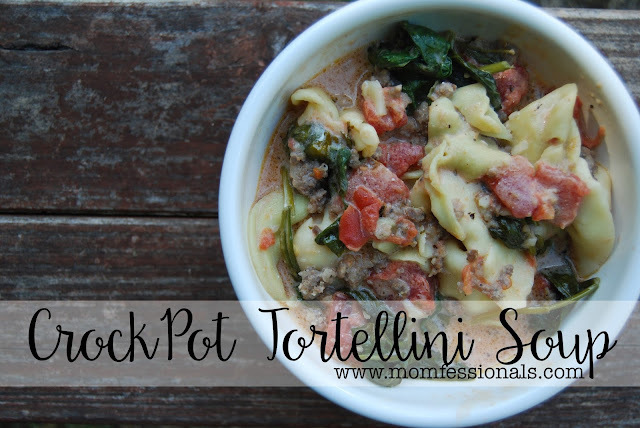 Even though it's crazy hot, we had that Tortellini Soup earlier this week. It's one of our family favorites! I think that maybe I got the recipe from you??? I can't figure out where/when I got it! LOVE it!!! Happy Thursday! Have a great day. I hate peeling so I'm definitely looking into that! Thanks, Mindy! Gawd....that pie!! Looks heavenly. One of my favorite things is having my kids in the kitchen with me. Love these picks of GG helping!! I really love when you post recipes since you post all of the steps and pictures! Plus they always sound so good! I agree! I always feel like I can accomplish what you are cooking because of the details you give and the pics! This looks so good. G helping you make that pie is the sweetest thing! You'll love it! Although you may need to make two pots for your big crew :) Have a great day, Kimm! Love your working mom tips in the video!! I know once school rolls around this will be on the menu! GG is so cute!! Thanks, Stephanie! Hope you enjoy it! Your voice is so cute!!! You should probably just go ahead and make it ;) hahaha Enjoy, Elizabeth! Do you like chatbooks? I ordered my first one in hardback? Are they worth it? I do!!! We have a bunch and we all love flipping through them. I do the paperbacks. Thanks!!! I was super nervous about the video and so I'm glad that you liked it! I just jotted down your idea so I'll see what I can put together :) Thanks!!! Great video! I do have a question...I put my crock pot in the fridge and then plugged it in to cook and it completely shattered. It was a cuisinart glass bowl. Has this ever happened to you?! Do you put it straight from the fridge into cooking mode regularly or do you let it come to room temperature first? Thanks! Oh no!!! That sounds awful!!! And yes... I put it straight from the fridge to cooking mode. That's CRAZY! I haven't! Maybe I should! 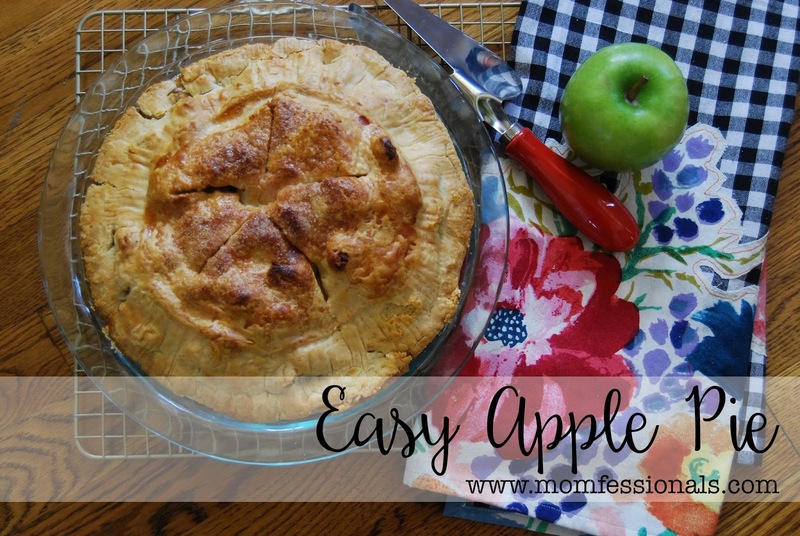 That soup and apple pie make me ready for FALL! :) What a precious helper you had...your blog is adorable - I'm a new follower. Love all your recipes && the video is too cute and is very helpful!! thanks always for your delicious recipes. this one for sure is on the menu this week! I've made that soup several times but never thought it out spinach in it!!! Thanks for the idea! So yummy! The spinach in it is so good! Can't wait to hear what you think! Note to self....don't read Andrea's recipe posts while 30 weeks pregnant, hungry, and with an entire week of meals already planned and shopped for 😂😂 I am currently sending my husband off to the grocery for ingredients for that soup while my kiddos nap! Oh. My. Yum! Did you make it??? You could always have a bowl and then freeze the rest in a couple of ziplock bags for quick dinners once the baby comes! Your little helper is too cute and fabulous! Would you mind sharing a link for your mixing bowl it is lovely. Thanks. Thank you! I think she's pretty great as well :) I would love to but I actually bought it at a yard sale when Luke was a baby! I think I paid about $5 and it's from Pottery Barn! That recipe looks amazing! I'll definitely be trying it soon. I enjoyed watching the video too. Cant wait to try this recipe! It looked so good on your snap yesterday! 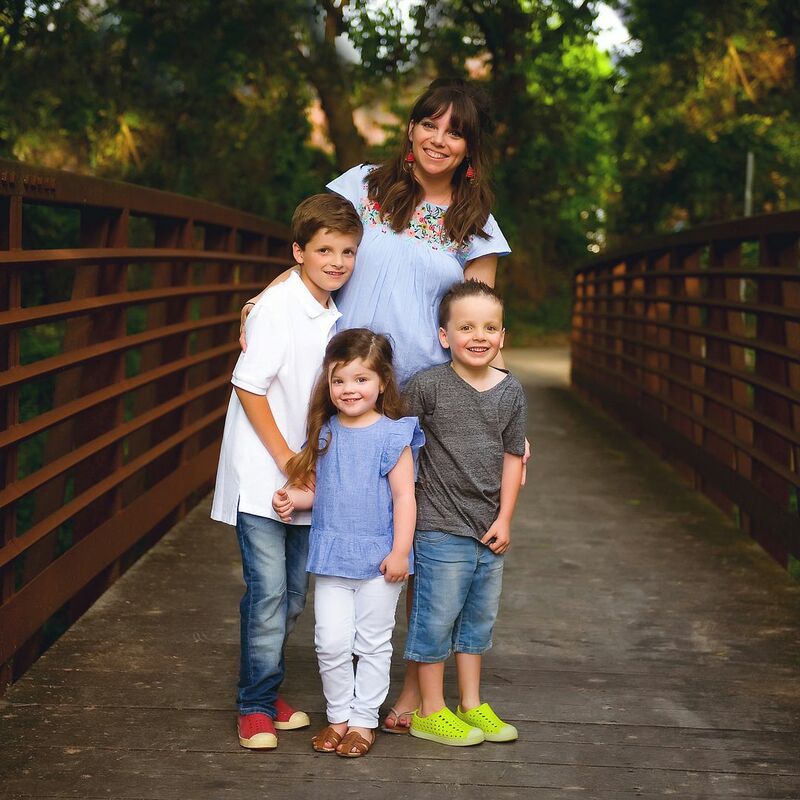 Glad it is on the blog now! I seriously love your cooking posts because of the pictures!!! Thank you for taking the time to snap through the process! Can I use dry pasta instead of the refrigerated? I haven't tried that before... I'm not sure if the liquid is actually boiling in the pot so I don't know.... maybe cook the pasta ahead of time and then just add it in at the end? I bought all of the ingredients for the soup today and can't wait to try it this weekend! Also, what brand are your deep dish pie crusts and do you get them in the freezer section? Thanks! I made this soup this weekend - DELICOUS! My husband and toddler loved it! Thanks for sharing it! I made the soup tonight and it was delicious! I used two chicken breasts instead of the sausage because I had some I needed to use. Turned out great and have a ton in the freezer for leftovers. Thanks for sharing the recipe! Ok! 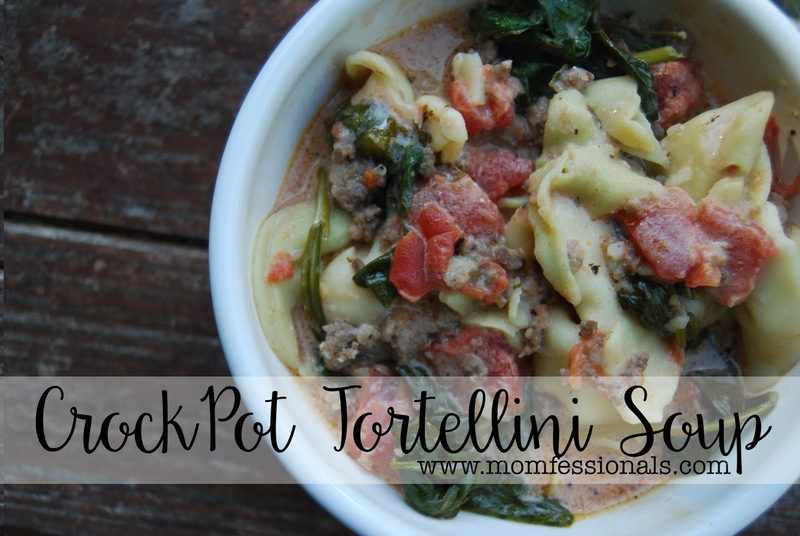 I'm trying the tortellini soup tonight. And just in re-looking up the recipe, I saw Griffin in those pics. That gal is so so adorable! I'm making both of these today!! The pie is currently in the oven and is making my house smell heavenly!! Perfect fall football food! !